Hearty chicken soup in a hurry! There is nothing more comforting than a hot bowl of chicken soup on a frigid day. 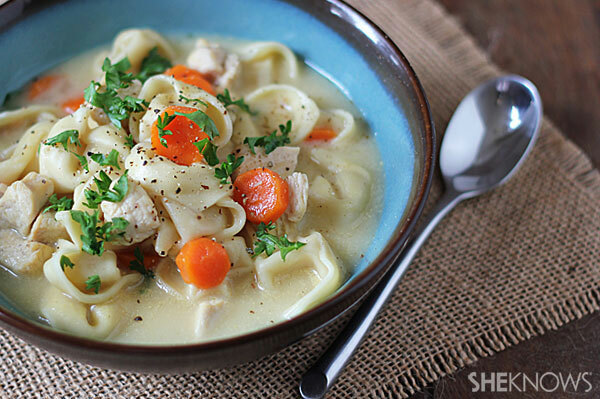 Add a classic twist to ordinary chicken soup by adding cheese tortellini. Fresh chopped carrots and onions add even more flavor and texture to the cheesy tortellini surrounded by chicken and warm broth. 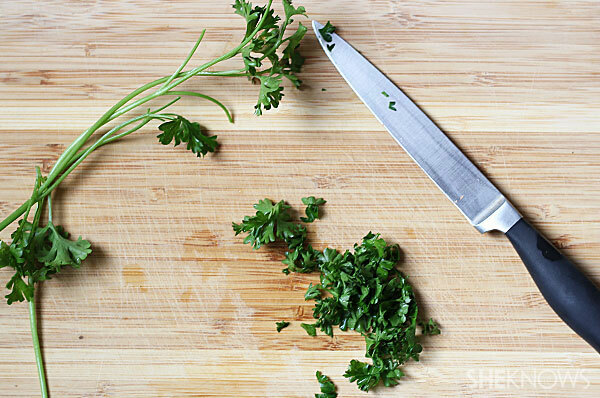 Top with chopped fresh parsley to add balance and flavor to this deliciously creamy and hearty soup. In a large saucepan, bring water and chicken broth to a boil over medium-high heat. Add carrots and onions. 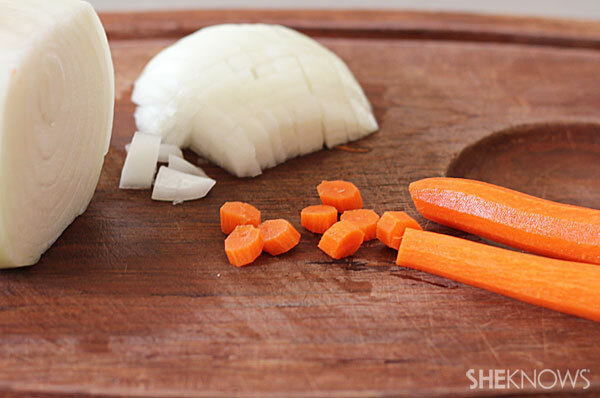 Reduce heat, cover and simmer until carrots and onions are tender (about 12 minutes). Add the tortellini and simmer until firm to the bite, approximately 6 minutes. Add the cream of chicken soup, chicken, salt and pepper. Stir well to combine. Bring to a simmer, cover and cook 5-7 minutes. Top with chopped fresh parsley.